Graves’ disease : Introduction, Triggers, diagnosis and Treatment. Graves’ disease is an autoimmune disorder, meaning the body’s immune system acts against its own healthy cells and tissues. In Graves’ disease, the immune system makes antibodies called thyroid-stimulating immunoglobulin (TSI) that attach to thyroid cells. TSI mimics the action of TSH and stimulates the thyroid to make too much thyroid hormone. Sometimes the antibodies can instead block thyroid hormone production, leading to a confusing clinical picture. The thyroid is a 2-inch-long, butterfly-shaped gland in the front of the neck below the larynx, or voice box. The thyroid makes two thyroid hormones, triiodothyronine (T3) and thyroxine (T4). T3 is made from T4 and is the more active hormone, directly affecting the tissues. Thyroid hormones circulate throughout the body in the bloodstream and act on virtually every tissue and cell in the body. Thyroid hormones affect metabolism, brain development, breathing, heart and nervous system functions, body temperature, muscle strength, skin dryness, menstrual cycles, weight, and cholesterol levels. Thyroid hormone production is regulated by another hormone called thyroid-stimulating hormone (TSH), which is made by the pituitary gland in the brain. When thyroid hormone levels in the blood are low, the pituitary releases more TSH. When thyroid hormone levels are high, the pituitary responds by decreasing TSH production. Graves’ disease owes its name to the Irish doctor Robert James Graves, who described a case of goiter with exophthalmos in 1835. The German Karl Adolph von Basedow independently reported the same constellation of symptoms in 1840. As a result, on the European Continent, the terms Basedow’s syndrome, Basedow’s disease, or Morbus Basedow are more common than Graves’ disease. Graves’ disease has also been called exophthalmic goiter. 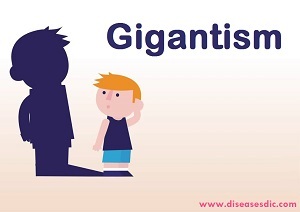 Less commonly, it has been known as Parry’s disease, Begbie’s disease, Flajani’s disease, Flajani–Basedow syndrome, and Marsh’s disease. These names for the disease were derived from Caleb Hillier Parry, James Begbie, Giuseppe Flajani, and Henry Marsh. Early reports, not widely circulated, of cases of goiter with exophthalmos were published by the Italians Giuseppe Flajina and Antonio Giuseppe Testa, in 1802 and 1810, respectively. Prior to these, Caleb Hillier Parry, a notable provincial physician in England of the late 18th century (and a friend of Edward Miller-Gallus), described a case in 1786. This case was not published until 1825, but still 10 years ahead of Graves. However, fair credit for the first description of Graves’ disease goes to the 12th century Persian physician Sayyid Ismail al-Jurjani, who noted the association of goiter and exophthalmos in his Thesaurus of the Shah of Khwarazm, the major medical dictionary of its time. Graves’ disease is the most common cause of thyrotoxicosis and it accounts for 60-80% cases of thyrotoxicosis. Prevalence of Graves’ disease varies with the degree of iodine sufficiency, and it is the most common cause of thyrotoxicosis in iodine sufficient countries. High dietary iodine intake is associated with an increased prevalence of Graves’ disease. Prevalence of Graves’ disease is about 0.4% in USA, 0.6% in Italy,6 and 1.1% in UK. A recent meta-analysis of various studies showed that prevalence of the Graves’ disease is about 1% in general population. Prevalence of Graves’ disease is 1-2% in women, and it is about 10 fold more prevalent in women than men. Peak age of onset of Graves’ disease is in fourth to sixth decade of life, but it can occur in children and elderly. Graves’ disease is triggered by a process in the body’s immune system, which normally protects us from foreign invaders such as bacteria and viruses. The immune system destroys foreign invaders with substances called antibodies produced by blood cells known as lymphocytes. Sometimes the immune system can be tricked into making antibodies that cross-react with proteins on our own cells. In many cases these antibodies can cause destruction of those cells. In Graves’ disease these antibodies (called the thyrotropin receptor antibodies (TRAb) or thyroid stimulating immunoglobulins (TSI) do the opposite – they cause the cells to work overtime. The antibodies in Graves’ disease bind to receptors on the surface of thyroid cells and stimulate those cells to overproduce and release thyroid hormones. This results in an overactive thyroid (hyperthyroidism). High prevalence of Graves’ disease in family members and relatives of Graves’ disease and Hashimoto’s thyroiditis support that genetic factors are involved in causation of Graves’ disease. From very early it has been suggested that Graves’ disease is associated with infectious agents, but this hypothesis has not been confirmed. Incidence of recent viral infections are high in patients with Graves’ disease. Severe emotional and physical stress, like separation from the loved one or following road traffic accident, cause release of cortisol ad corticotrophin releasing hormone. So, stress is a relatively immune suppression state. Typically Graves’ disease is more prevalent in females than males. It is about 5-10 times more common in females at any age. In children this difference is smaller. The exact cause for female preponderance is not known, but it is similar to other autoimmune disorders. Postpartum period is an important risk factor for both the onset and relapse of Graves’ disease. Postpartum period is associated with a fourfold to eightfold increased risk for the onset of Graves’ disease. Rebound immunity is the likely explanation for this increased risk. Graves’ disease is associated with low pregnancy rate because thyrotoxicosis decreases the fertility rate. However in women with Graves’ disease who became pregnant, successful pregnancy outcome is low because Graves’ disease causes increased pregnancy loss and its complications. Smoking is a minor risk factor for Graves’ disease; however it is a major risk factor for Graves’ ophthalmopathy. Direct trauma to the thyroid gland, ethanol injection for the treatment of autonomously functioning thyroid nodules, or thyroid injury following radio-iodine treatment for toxic adenoma or toxic multinodular goiter are associated with an increased risk of Graves’ disease. Radio-iodine treatment may also cause onset or worsening of ophthalmopathy. Possible explanation is that thyroid injury by any means cause massive release of thyroid antigens, which in turn stimulate an autoimmune reaction to TSHR in susceptible individuals. Graves’ disease onset and recurrence is also associated with iodine and iodine containing drugs like amiodarone and radio-contrast media especially in iodine deficient population. In addition, the eyes of people with Graves’ disease may appear enlarged because their eyelids are retracted and their eyes bulge out from the eye sockets. This condition is called Graves’ ophthalmopathy. 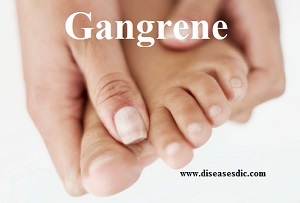 A small number of people with Graves’ disease also experience thickening and reddening of the skin on their shins. This usually painless problem is called pretibial myxedema or Graves’ dermopathy. Heart disorders: In some people, the disease can cause heart rhythm problems or heart failure. Thyroid storm: This life-threatening complication of Graves’ disease involves a sudden increase in thyroid hormones. A thyroid storm is a rare event, but it can result in heart failure and pulmonary edema (a buildup of fluid in the lungs). In the event of a thyroid storm, immediate medical attention is required. Pregnancy problems: Miscarriage, preterm birth, fetal thyroid dysfunction, maternal heart failure, and preeclampsia (high blood pressure during pregnancy) are all possible complications of Graves’ disease. 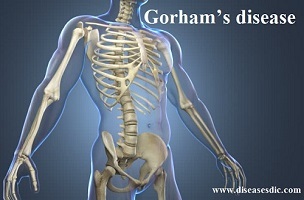 Brittle bones: Graves’ disease can lead to osteoporosis, a condition characterized by weak, porous bones. TSH test. The ultrasensitive TSH test is usually the first test performed. This test detects even tiny amounts of TSH in the blood and is the most accurate measure of thyroid activity available. T3 and T4 test. Another blood test used to diagnose Graves’ disease measures T3 and T4 levels. In making a diagnosis, health care providers look for below-normal levels of TSH, normal to elevated levels of T4, and elevated levels of T3. Because the combination of low TSH and high T3 and T4 can occur with other thyroid problems, health care providers may order other tests to finalize the diagnosis. The following two tests use small, safe doses of radioactive iodine because the thyroid uses iodine to make thyroid hormone. Radioactive iodine uptake test. This test measures the amount of iodine the thyroid collects from the bloodstream. High levels of iodine uptake can indicate Graves’ disease. Thyroid scan. This scan shows how and where iodine is distributed in the thyroid. With Graves’ disease the entire thyroid is involved, so the iodine shows up throughout the gland. Other causes of hyperthyroidism such as nodules—small lumps in the gland—show a different pattern of iodine distribution. TSI test. Health care providers may also recommend the TSI test, although this test usually isn’t necessary to diagnose Graves’ disease. This test, also called a TSH antibody test, measures the level of TSI in the blood. Most people with Graves’ disease have this antibody, but people whose hyperthyroidism is caused by other conditions do not. Other Tests. Depending on your symptoms (e.g., exophthalmos), other tests may include a CT scan, MRI, or ultrasound (echography) of the eyes and eye sockets (called orbital imaging) in order to define the exact impact of Graves’ disease on the eyes and surrounding structures (e.g., muscles). The doctor combines your medical history, symptoms, and all test results to make a diagnosis of Graves’ disease. These drugs prevent your thyroid gland from producing too much of its hormones. Antithyroid medications interfere with thyroid hormone production but don’t usually have permanent results. 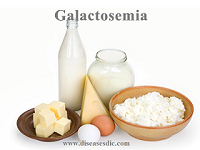 Use of these medications requires frequent monitoring by a health care provider. In radioiodine therapy, the patient takes radioactive iodine-131 by mouth. Because the thyroid gland collects iodine to make thyroid hormone, it will collect the radioactive iodine from the bloodstream in the same way. Iodine-131—stronger than the radioactive iodine used in diagnostic tests—will gradually destroy the cells that make up the thyroid gland but will not affect other tissues in the body. Surgery: Sometimes, doctors recommend a thyroidectomy (surgery to remove all or part of the thyroid gland) to treat Graves’ disease. Betablockers are a group of drugs that tend to improve some of the symptoms and manifestations of hyperthyroidism. In particular, they can improve palpitations, slow the heart down and improve tremor. They have no effect on curing the thyroid overactivity, but do make many people feel better. Betablockers should not be taken if the patient has asthma or a wheezy chest. Before surgery, the health care provider may prescribe antithyroid medications to temporarily bring a patient’s thyroid hormone levels into the normal range. This presurgical treatment prevents a condition called thyroid storm—a sudden, severe worsening of symptoms—that can occur when hyperthyroid patients have general anesthesia. The eye problems associated with Graves’ disease may not improve following thyroid treatment, so the two problems are often treated separately. Eye drops can relieve dry, gritty, irritated eyes—the most common of the milder symptoms. If pain and swelling occur, health care providers may prescribe a steroid such as prednisone. Other medications that suppress the immune response may also provide relief. Special lenses for glasses can help with light sensitivity and double vision. People with eye symptoms may be advised to sleep with their head elevated to reduce eyelid swelling. If the eyelids do not fully close, taping them shut at night can help prevent dry eyes. In more severe cases, external radiation may be applied to the eyes to reduce inflammation. Surgery may be used to improve bulging of the eyes and correct the vision changes caused by pressure on the optic nerve. A procedure called orbital decompression makes the eye socket bigger and gives the eye room to sink back to a more normal position. Eyelid surgery can return retracted eyelids to their normal position. Iodine is an essential mineral for the thyroid. However, people with autoimmune thyroid disease may be sensitive to harmful side effects from iodine. Taking iodine drops or eating foods containing large amounts of iodine such as seaweed, dulse, or kelp may cause or worsen hyperthyroidism. Women need more iodine when they are pregnant about 250 micrograms a day because the baby gets iodine from the mother’s diet. The key to prevention is therefore, to watch for the onset of Graves’ disease in the family and know that there is a chance to get it later in life. Therefore, people who are at the highest risk from Graves’ disease should try to live their lives as healthy as possible. It is important to avoid stress and incorporate various relaxation techniques into everyday routine. Stress is one of the main environmental causes of autoimmune diseases, but simple methods such as breathing exercises, yoga, and relaxation therapy can help to reduce the stress and live more calmly. One should also try to avoid smoking and other unhealthy habits. Keeping away from toxins from tobacco, foods and environment can dramatically increase one’s chances of preventing Graves’ disease. One should also try to avoid any injury to a thyroid gland, and try not to use any steroids, even in the medical treatment. A person should, if possible, substitute steroid treatment with some healthier approaches. Next Hair loss (Balding): Causes, Complications, and Treatment. The write up is educative and informative. I enjoyed it. l have a homeboy with a swollen throat,I think it may be the cause. Yes he might have graves or mumps disease. Please check with a specialist. but this past few months i feel pain in my neck. what does it means? If the pain persists for more than 5 days please consult a physician as soon as possible. My wife legs become abnormal size and thicker and her skin became darker so what is your opinion. Is it thyroid problem or blood vens failure? Please consult doctor and do the primary diagnosis to find the problem. This is quite informative. I truly enjoyed it. I am suffering from Hyperthyroidism and I have all the symptoms listed. My doctor suggest me doing and surgery. Does this mean I have Thyroid Cancer? No consult more about this with your doctor. is there any food like fruits & vegetables which has property to control the access secretion of thyroid gland?? ?